So I’m was sitting in my home office this afternoon, with my patio door open, enjoying the beautiful songs of singing birds and the elements of fall. On my left is my television and there a commercial…The Magic Jinn? Whoa! So what is Magic Jinn? Magic Jinn is Hasbro’s new game that can actually guess what you’re thinking! It’s no joke! All you have to do is think of an animal and then listen to a series of questions from MAGIC JINN. Then, you answer yes, no, I don’t know or it maybe. You might think you can stump him, but through a series of silly and thought provoking questions MAGIC JINN will magically try to guess the animal you are thinking of with his questions! 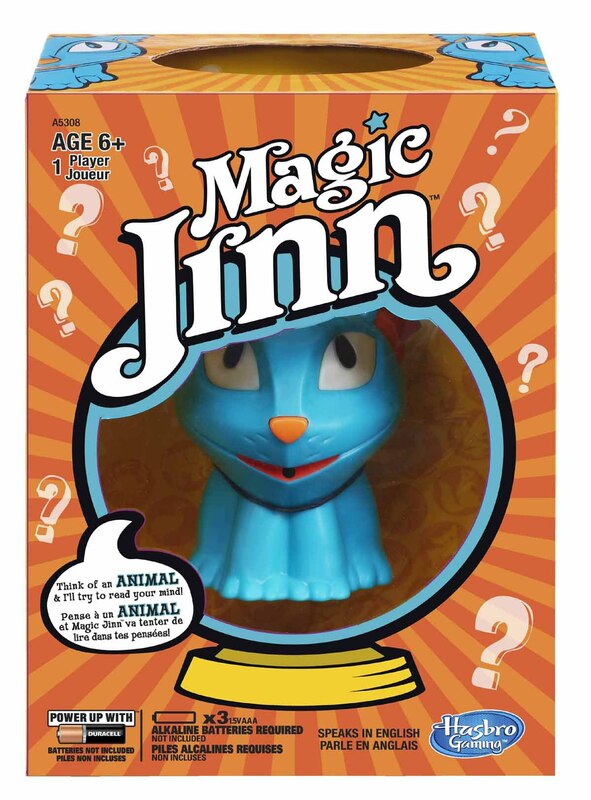 I immediately googled “The Magic Jinn” and found there are many religions including Muslims outraged over this toy. http://www.lutheranlayman.com headlined: Beware! 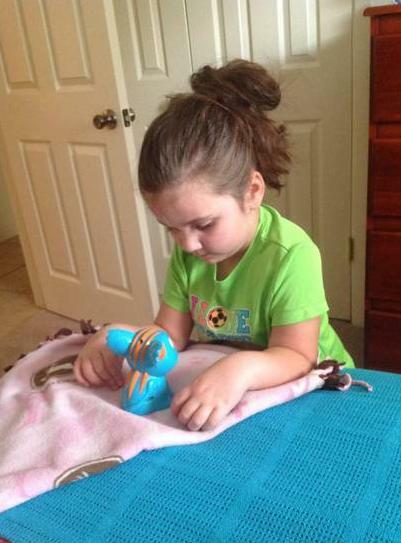 There’s a new toy on the market — an Islamic themed (a.k.a. 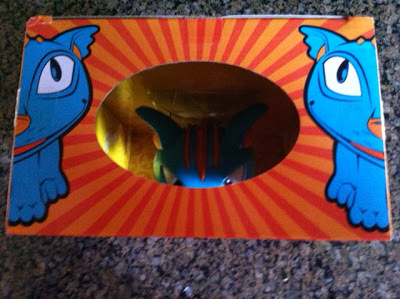 Satanic themed) toy courtesy of Hasbro — called the “Magic Jinn” that’s being marketed to our kids and grand kids. Magic Jinn is Hasbro’s new game that can actually guess what you’re thinking! All you have to do is think of an animal and then listen to a series of questions from MAGIC JINN. Then, you answer yes, no, I don’t know or it maybe. You might think you can stump him, but through a series of silly and thought provoking questions MAGIC JINN will magically try to guess the animal you are thinking of with his questions! So why does my title mention “Satan? 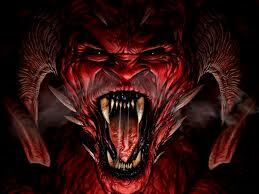 The words “satan” and “jinn” are repeatedly mentioned in the Qur`an. There is also a chapter in the Qur`an named “al-Jinn”. “Satan” is a common noun that denotes any creature that is mischievous, misleading, and delinquent, whether it be human or not. Well, do you know what a Jinn really is? (in Arabian and Muslim mythology) The Jinn is an intelligent spirit of lower rank than the angels, able to appear in human and animal forms and to possess humans. Now, is Hasbro intentionally trying to possess our children? or sacrifice them for greed? No, but in my opinion money is the root of all evil. There are always sacrifices for one to make the next rich. You may think I’m crazy, call me what you want, but I believe many toys and games created for children are laced with evil… pull the string toys, squeeze the tummy dolls, or now just ask it questions. Though it may not be intentional, that doesn’t mean that Satan won’t take advantage of the prototype in possession of an innocent and unprotected child. Satan tries all kinds of ways to get to our children, but we must always pray over them, teach them to pray for themselves, and in any religion or belief, there is a protection prayer. We must build a spiritual dome of protection around them. What is the purpose of Satan possessing a figure and how can that happen? The demonic entity is called upon through conjuring. Meaning: To Summon. I found this video on youtube, it’s an Islamic video on their beliefs of the Jinn. I am not a Muslim but I respect everyone. I am a self-proclaimed “free spirit” and I follow a Karma Yogi path with other practices. All under one God who himself is my church. Like human beings, the Jinn can also be good, evil, or neutrally benevolent and hence have freewill like humans and unlike angels. In this case Hasbro created “The Magic Jinn” in laymens term “The Magic Demon” to portray an innocent and friendly creature that just happens to also magically read your mind. I’m sure many are saying that people are over reacting and it’s just a stupid toy. I’m sorry but this thing creeps me out, and as a person with Empathic traits and have had personal “encounters” with dark entities, spirits, and ghost, good & bad… let’s just say I know what won’t be wrapped under my Yule tree this Holiday and that’s for sure. If you’re a Christian ask God to protect you and your family with the blood of Jesus. If You’re a Pagan, perform a ritual to evoke Strength and Protection from the gods and goddesses. Regardless of what name you call God, our only purpose here on earth is to achieve union with him. As this goes the same for demonic creatures… Jinn, Satan, Lucifer, Devil, whatever, it all falls under Evil. This is just my food for thoughts to keep you thinking and talking. Be safe, stay blessed, and remember, no matter what road or path you choose to travel just make sure it’s a positive one. I agree with you and that toy isn’t the only channel into our childrens heart and soul. Wow Channing! and you know what’s scary? Just the other day my son and I were in Toys R Us and the Jinn toy was on the clearance rack and I wanted to buy them all and destroy them. I was messaged some time ago by a woman who bought the Jinn for her daughter’s birthday. Her daughter started hiding in the closet with the Jinn and started talking to the Jinn toy as if it was communicating with her telepathically. Her daughter was never a quiet kid who stayed to herself or had imaginary friends, she stated. From her story, I felt there was a demon grooming her for possession, so I told her to get rid of it immediately, like far far away and destroy it. She said they were Catholic and I told her to get some holy water, white candles, and frankincense incense and pray, pray, pray. And yes! U want to plead the Blood of Jesus around the house and the child. This is a link to a youtube video from realtimeparanormal, I absolutely love this guy. It’s a 2hr house cleansing prayer. I turn this on, not very loud, just enough to be heard throughout the house and I let it play while I’m gone. The woman did all this and she said everything is back to normal but she’s terrified of buying anymore toys for her daughter. That shouldn’t be the case, toys are awesome! I just wouldn’t buy my kid a toy that emulates Satan or a Jinn, whether you believe or don’t, the energy is real. Blessings to you and your family. Thanks for sharing your story. I agree with you. The only problem is, Yoga is a religious practice that is rooted in polytheism as well as the worship of “gods” that are more like demons. In fact, virtually every asana is related to worship of a demi-god, everything from the “sun-god” to the “crocodile-god” and the “snake-god.” Needless to say, the snake-god/the serpent is satanic. The problem with today’s watered-down yoga is it still contains all these elements, no matter how pc you spin it. Are you nuts? 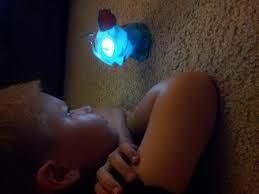 This is a toy and little kids have fun playing with it. 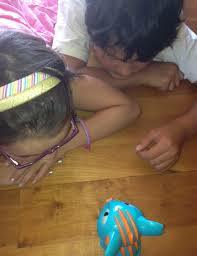 We play a similar game on road trips trying to guess different animals, minerals, or foods. I was very surprised by the clearance price and think I got a great bargain for my kiddos to have hours of innocent entertainment. 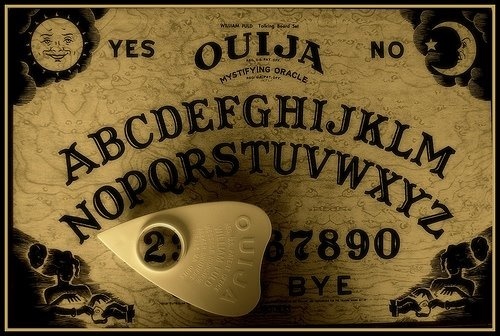 You are all a bunch of whack crazy fools… It uses a base set of questions and answers to eliminate and then ‘magically reveal the answer’ im not scared of this toy, but i am scared of you guys thinking that its satan in disguise!! You read a book you can the bible, which is in fact full of true stories complied over centuries. It is a master piece, but a story which is why there are so many versions, so many beliefs. You have interpreted it the way you desire which is fine and up to you and me. But you take things too far in what you say is the will of god. 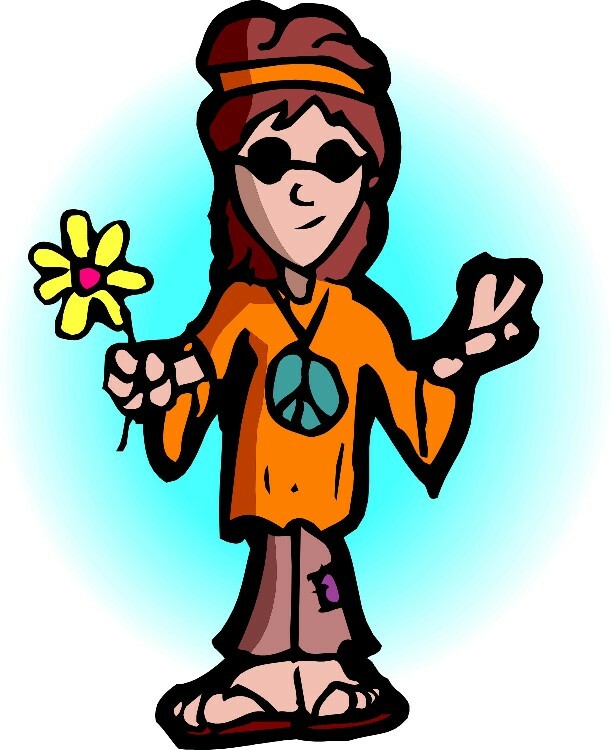 An yet there are so many god s we all apparently believe in – you can’t be all right can you. I born and reared a Christian; but even I recognize that the Islam is the oldest religion, that the Quran is one of the oldest religious texts; and that Allah is mentioned in “One Thousand and One Nights aka “Arabian Nights.” They are the ancient collection of tales about mystical creatures, including the unseen. 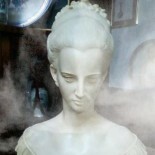 Created by Allah, according to the Quran, the shapeshifting “unseen” are comprised of smokeless fire (ectoplasm) vs angels (light) and man (earth and clay). They are called Jinn (plural); but transliterated to Dginn or Djinn(ie) or Gen(ie) in singular form. The Bible hints at, but glosses over much that is detailed in the Quran; but even the Bible is not complete in that Constantine deliberately excluded many ancient writings from the Bible that did not “compute” with Christian teachings, and hence the most revealing – the Book of Enoch – was excluded. I pity the fool who gives the Da Vinci Codes more credence than the ancient Quran; and accepts its historical fiction as truth. We choose to be deceived; and so we are ~ Rudolf of Germany – he who purports to be a tall white alien and has shared more than 200 telling videos on YouTube. I think this is the silliest thing I’ve read so far today. The only people who should be offended by this toy are people of middle eastern descent. Everyone’s intelligence should feel insulted by this article. 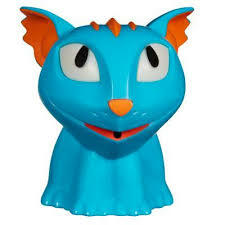 I worked at a major retailer (think the biggest, bluest retailer in the USA) and the Christmas season this toy came out, I was 100% oblivious to its existence. UNTIL one night when I had to pull inventory for the shelves from an extra storage room where we kept all the holiday stock toys….I never had a problem working alone until that night. I was CREEPED OUT, and couldn’t put my finger on why! As I got closer and closer to a particular section of shelving, I felt my inner warning bells screaming when I had to pull inventory from this one big box, and there they were: at least a hundred little blue “toy jinn” staring at me. I got the heck outta there and found two of my coworkers, who know me to be level-headed and chill. I didn’t tell them anything about the toy at all, just asked if they’d come help me find something in the toy storage room. BOTH of them remarked on this bad feeling they had that grew and grew as they neared the box of jinn, and finally I opened it to show them. We spread the word through our shift and everyone unanimously agreed (and not everyone had a faith, some were atheist) that something about this toy set off the “DON’T EVEN” sensors in our bodies! Even the managers made several comments on how relieved they were the day those toys went on clearance! I know it sounds ridiculous to get so worked up over a toy, but there was something very….WRONG….about this one! i won this toy from chucky cheese. i had played with it and had a feeling i should burn it. after i burned it an hour later its half melted cat face was in my room. What do i do, im freaked rn.